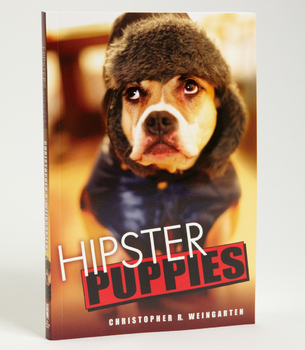 While I don't have time for their hipster owners, I DO have plenty of time for the four-legged hipster variety. 'Hipster Puppies' by Christopher R. Weingarten is so dog-gone cute, you can easily forgive these cool canines for their overt trendy tendencies. Bicycles, bandanas and retro glasses are all in fashion with this dog gang. I must admit, I do love the cat's eye look as worn by the black and white fuzzball.